20 oz. 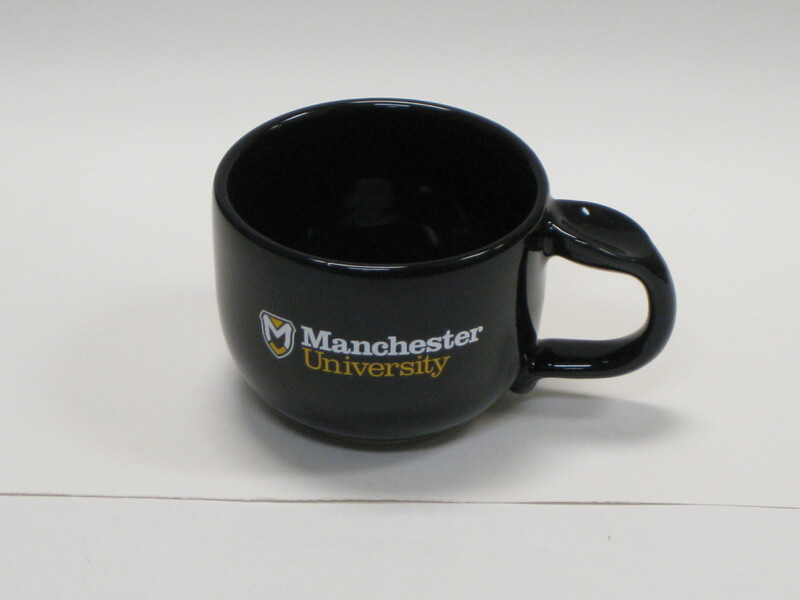 ceramic black mug with our Manchester University logo on the front and back. Also on the top of the handle is thumb rest as well.